So, what’s a sportive? Well, the term is most synonymous with cycling but in general it’s a sporting event which is open to all and, most importantly, is not a race (although we’re sure times are important to a lot of participants). A sportive will always involve a set route and often, can include obstacles too with some parts laid out for different abilities. To put it in a nutshell, think fun run but on bicycles. And The Hardrada Hundred – a 100 mile challenge route! “I think we can safely say that our sportive was a massive success. Year on year the number of participants has grown and in turn has benefitted our chosen charities, this year Cancer Research UK and Macmillian Cancer Support. It was great to see so many club members out either taking part or supporting the event behind the scenes, you don’t really appreciate how the club has grown until you see us all in one place!”, said the club’s own Saffron Anouska Small. 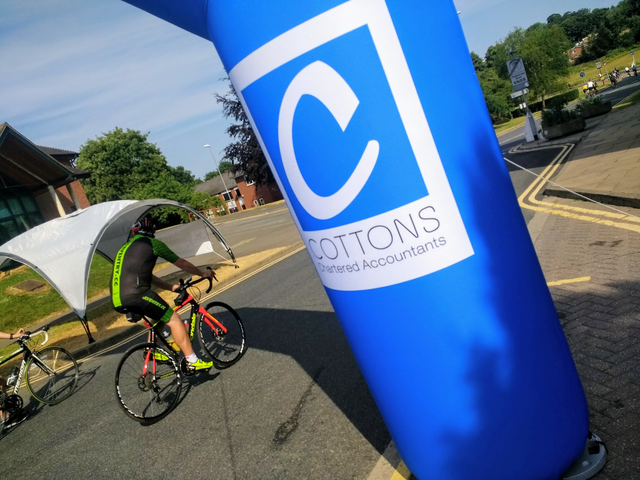 Well done to everyone who took part in all the routes and a special shout out to Cottons’ own cyclists, Lisa Malone, Richard Wilch, Callum Veasey and Will Smart, all of whom took on and smashed the Thor Thirty. 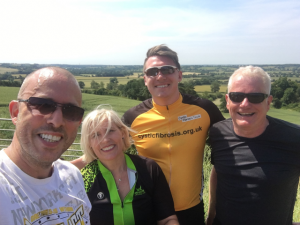 Cycling is a big part of Cottons Daventry with branch Partner, Lisa Malone (who you might remember recently cycled to Paris for charity) and her husband, Neal, being core members of Daventry Cycling Club. At Cottons we make a conscious effort to get behind community initiatives in all of our locations so if you’re a client or local body and you’re reading this, then get in touch to talk to us about teaming up with our supportive network. If you’re feeling like seeing more of the outdoors, then contact Daventry Cycling Club to find out how you can get involved. Alternatively, you might be pedalling hard in a business sense and if that’s the case then let us know, our pro-active partners and accountants will help you keep moving. Cottons are with you for the journey.